and Dec. 7, 8 and 15 at 2 p.m.
Pay-What-You-Can on Saturday, Dec. 7 at 2 p.m. Inspired by British Pantomime, Goodger-Pink productions invites you to a raucous wintertime comedy. Drawing on the centuries old tradition of Commedia del Arte, British Pantomime takes familiar fairy tales and classic children’s stories and injects contemporary references, music and surprise casting— the Prince is played by a woman and the Queen is played by a man! 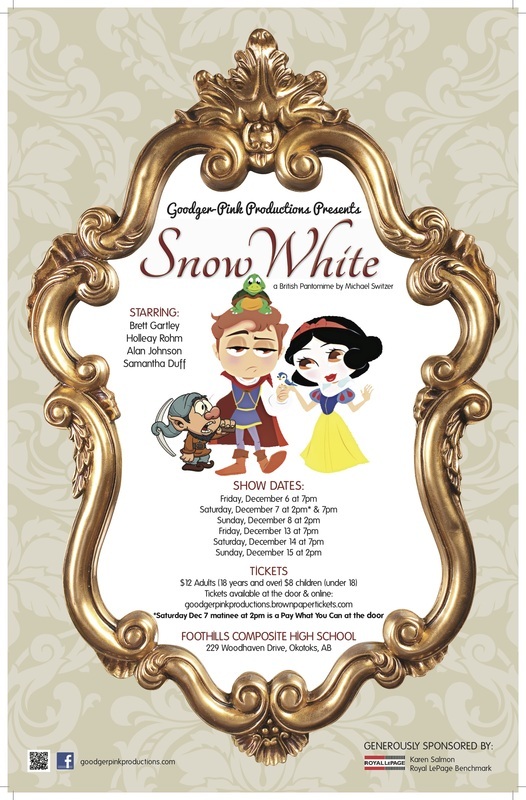 Expect a silly, funny, fast paced remix version of Snow White, complete with audience participation (don’t worry, you don't have to get on stage). Sure to make an audience of any age laugh out loud!